Retail Price $799 0 0 Like this product? It offers access to new dimensions of sound with selectable modes including music, movie, and even game mode fitting audio needs based on your environment and preferences. An elegant look with incredible mobile computing experience just like you would with a smartphone or tablet. Focusing on even the smallest details, the ASUS Vivo Book V500 is set to offer high durability and an elegant look within an ultra-slim profile that matches the dynamic new standards for high-portability and intuitive computing. A notebook with a touch screen is incredible in and of itself. Of course, a slim UltrabookTM profile with premium brushed metallic texture, hidden hinges design, and a Chiclets keyboard wouldn't hurt either. 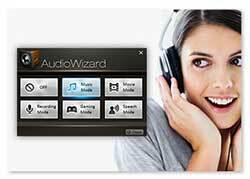 With proprietary software, ASUS AudioWizard, it also offers access to new dimensions of sound with selectable modes including music, movie, and even game mode fitting audio needs based on your environment and preferences. Featuring exclusive ASUS Sonic Master Lite technology, the ASUS Vivo Book V500 delivers deeper and richer bass, a wider audio range and pristine clarity by employing larger speakers and specially designed chambers within the limited space of a notebook to allow sound waves to fully expand outwards. Access all your documents, photos, music, and videos from any device you are on. 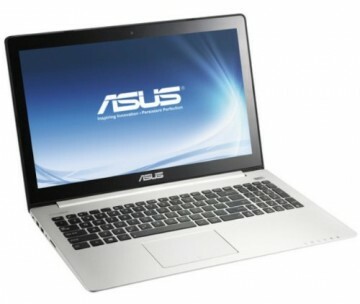 Even better, ASUS VivoBook V500 comes with free 32GB of WebStorage cloud space for three years.